Argentine legend Diego Maradona’s hotel room in Madrid was raided after he was alleged of assaulting his partner. 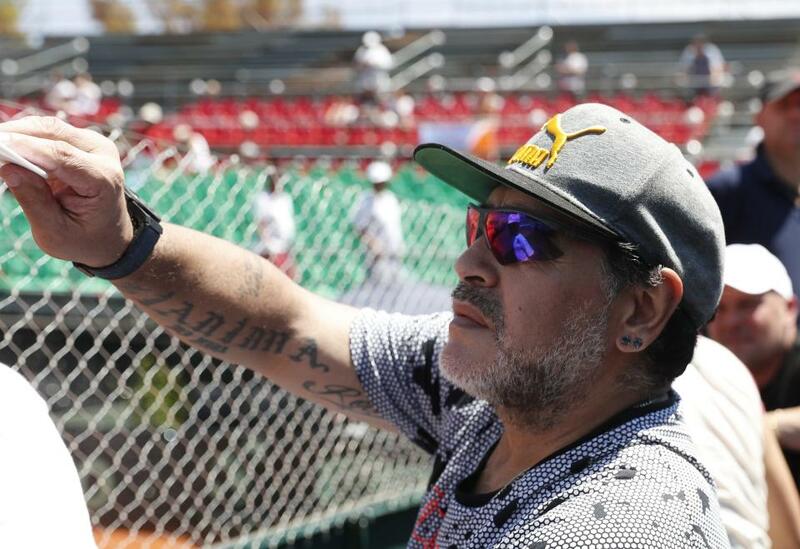 Police rushed to the hotel after receiving a call from the manager at 8.20am before interrogating Maradona. 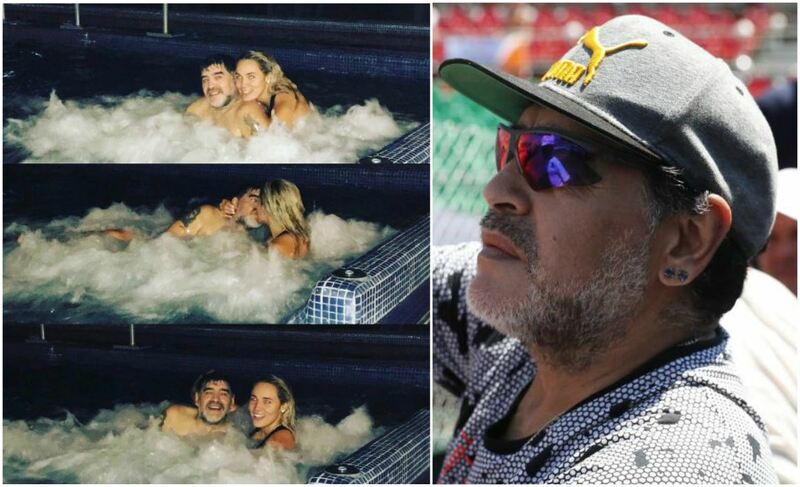 However, according to foottheball sources, Maradona’s long-time girlfriend Rocio Oliva has not filed any official complaint after the reported incident at the five-star Eurostar Suites Mirasierra. Earlier on Tuesday, Olivia took to Instagram and posted pictures of the couple having a gala time in a Jacuzzi in the Spanish capital. The former Napoli man was also accused of hitting a journalist after he landed in Madrid. Maradona has flown to Madrid in order to support his former club Napoli in the high-octane Champions League clash on Wednesday. 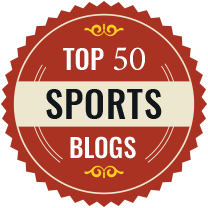 Even after playing for arch rivals Barcelona during his prime form, it appears that that the World Cup winner is loved by all and sundry in the land of Spanish giants Real Madrid. 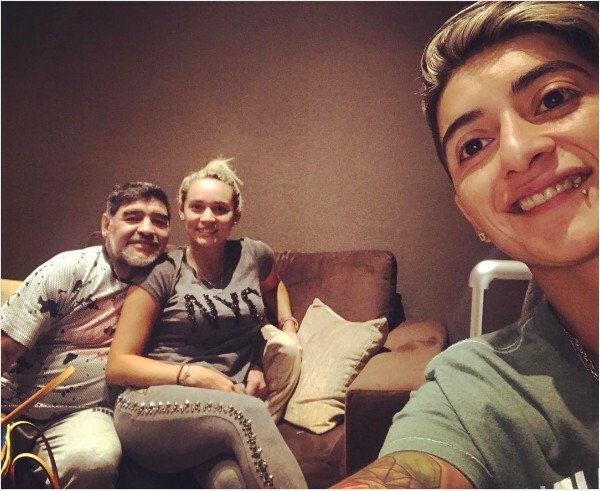 Sources also reveal that doctors rushed into the hotel room but neither Maradona nor his 26-year old girlfriend showed any signs of injury nor they filed any complaint. Police spent some time in the hotel but left after quizzing the couple about the reported incident. Later they came to know that no one attacked Olivia but people heard someone shouting in the couple’s room. It is believed that the Argentine legend has been in an on-off relationship with his girlfriend Olivia. Earlier, the couple was also involved in a controversy, when Maradona had alleged her of stealing more than £250,000 in watches before taking back the complaint later.